Recently, our Hope House staff took all the girls to the annual Christmas fair in Sucúa. Walking through the fair was an incredibly fascinating and action-packed experience. There were countless tents of merchants selling their goods at the Christmas market there. As we walked through vendors shouted at us, “blankets!” “shoes!” “toys!” The girls had each been given a little bit of money to buy themselves something special. They were so excited and carefully selected their purchases as we walked through. After the merchant tents, we walked through the food festival. There were foods of all kinds, both traditional and international, and the girls joyfully snacked on the delicious items being served. The highlight of the fair for the girls however, was most definitely the opportunity to go on the rides. Each of the girls were given ride tickets, and they were able to choose which ones they wanted to try. There were bumper cars, large slides, a ferris wheel, and more. But the biggest, grandest, most exciting ride there was easily the dragon. The dragon was a giant boat like ride that swung back and forth high in the sky, so much so that the people on both ends of the boat were fenced in so they would not fall out. 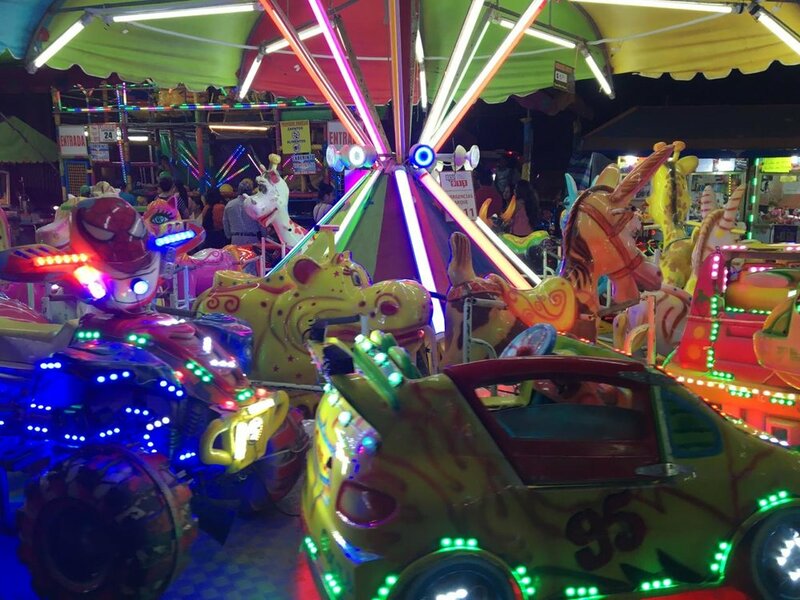 It was covered in bright lights, had loud music blaring and had many onlookers who watched in amazement as others rode the dragon, some laughing, some screaming. Many of the girls couldn’t resist. They were thrilled to face the dragon, thrilled to fly high into the sky, thrilled to experience it with their friends. Other girls were terrified. They watched in horror as people swung high into the sky and instantly declared that they would never go on it. It was too scary, too unpredictable, too unknown. At the last minute however, almost all of the girls decided to face the dragon. Even the ones who were terrified climbed the stairs, walked straight into their fear, and took a seat. Some even stood up! They screamed, laughed and clung to one another as the ride swung back and forth. When it was over, they all came back down, having faced the dragon. It wasn’t just a ride. It was a group of girls facing their fears bravely, with no one pushing them or telling them to. This holiday season, you may find yourself facing some dragons of your own. I hope that you will face them with boldness and grace, and that you will come out of it feeling braver and stronger than ever. I would like to ask you to continue to pray for our girls, especially this holiday season. Many of the girls are currently facing obstacles, struggles, fears, and hardships that feel a lot like dragons. Would you pray that God will give them more and more boldness and grace to face them? Would you pray that God would continually strengthen them to continue becoming the amazing women God has created them to be? Would you pray for their protection as they face these hardships head on? Having watched them face the dragon at the fair, I have confidence that they are more equipped than ever to boldly face difficulties. They still have many more dragons to face ahead of them, but I’d say they are off to a great start.